If you missed the months Creative Corner no worries, you can watch the highlights online via this link. 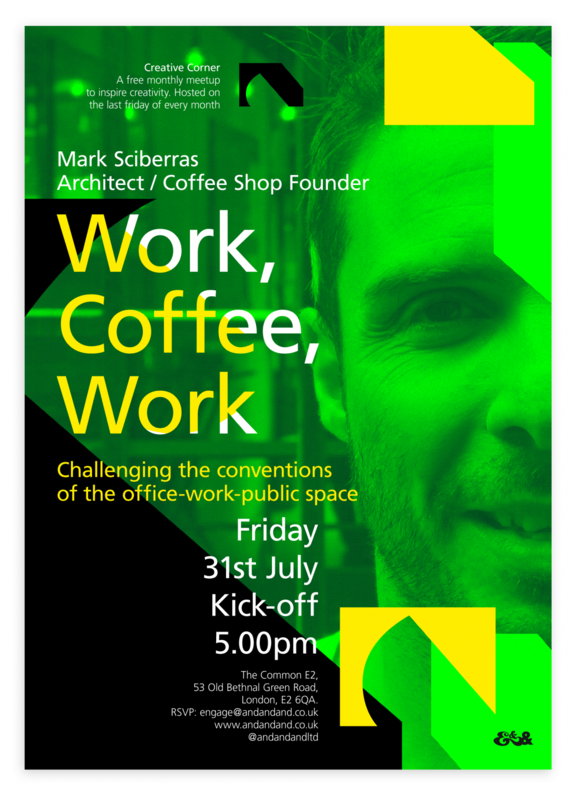 Mark Sciberras, Architect / Coffee Shop Founder, will be sharing what we think is a truly innovative approach to running a creative business. Recently he created an extraordinary co-work space, combining an Architectural Practice ‘Common Ground Workshop‘ with a Coffee Shop ‘The Common E2‘. Challenging the conventions of the work-public-space; serving coffee, architecture and creativity. This months Creative Corner will be an insight into how Mark has made his dreams a reality by turning the Architects Office into a Public Café, where patrons become his future clients. Inspiring you as he tells of the daily grind of life in the common. If you missed the meet-up no worries, the Creative Corner team have been at it again putting together a the best Highlights from Work, Coffee, Work. We hope you enjoy! Mark has been extremely active in getting the design community talking in East London and recently was part of London Festival of Architecture 2015. Successfully turning ‘The Common E2’ into a local creative hub. We love the coffee, cakes, architecture and are excited to hear what he has to say. Mark has worked on a number of notable architectural projects, including: Heathrow Terminal 1, Abu Dhabi Cultural Centre ‘Osar Al Hosn’ and the New Apple Store in China. 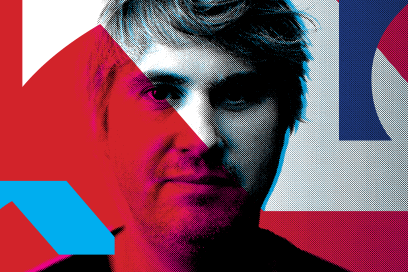 Beyond being an architect and coffee shop founder, Mark’s interests include exploring new opportunities through collaborations with other creative disciplines such as visual artists, graphic, product and fashion designers. As well as hosting multi design events and shows through his practice ‘Common Ground Workshop’. 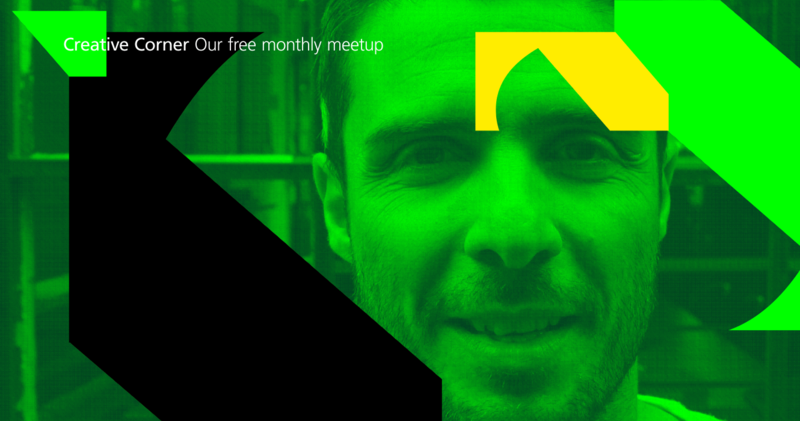 To get our awesome community talking, we started Creative Corner, a free monthly meetup taking place on the last Friday of every month. The idea is simple we invite a Creative who has inspired us to share their knowledge with you. Speakers range from: Creative Directors, Film Makers, Illustrators, Content Strategists, Brand Experts, Coders and there might be a few talking heads thrown into the mix. Together getting the design community to talk work. Signup to our mailing list below to find out who’s up next or follow us on twitter @andandandltd.